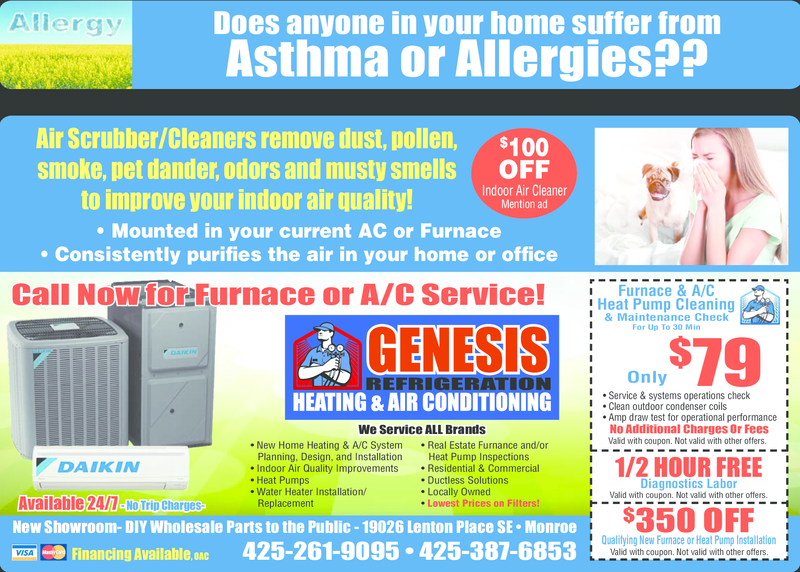 With 30+ years of residential and commercial experience, Genesis technicians can install, repair, and maintain your HVAC system, as well as offer solutions to improve efficiency and indoor air quality. Valid with coupon. Not valid with other offers.